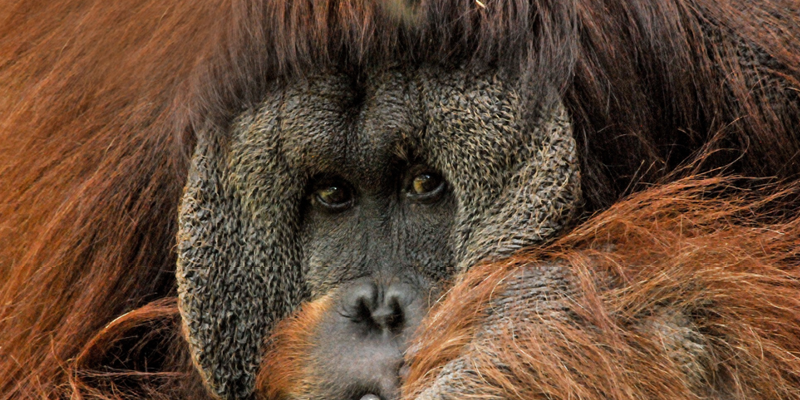 What is the Orangutan Species Survival Plan? The Orangutan Species Survival Plan (SSP) serves 55 accredited zoos across the U.S., Canada, and Mexico to help guide the management of the captive orangutan populations. Captive orangutans worldwide are managed as two genetically separate breeding populations, based on the two species of orangutan that exist in the wild – the Sumatran and the Bornean. A third, non-breeding population is made up of hybrid orangutans, crosses between the two recognized species. The primary goals of an SSP are to treat an entire population of animals as a single unit (“gene pool”) in order to maximize retention of genetic diversity, and to promote cooperation among holding institutions to ensure the long-term survival of the species in captivity. A minority of SSP populations support wild populations through reintroduction programs, but most SSP programs exist to manage a sustainable captive population to advance the mission of zoos for many years to come. Holistic SSP programs extend beyond captive management to encompass scientific research, conservation, and education programs that support populations in zoos and in the wild. You can save wild orangutans, and other endangered Asian animals affected by the palm oil crisis, by using your smartphone! This FREE downloadable smartphone application lists more than 5,000 products whose manufacturers are certified by the Roundtable on Sustainable Palm Oil (RSPO). Purchasing products from these companies saves orangutan habitat and lives. This information is a helpful guide for consumers that are concerned about orangutan conservation and deforestation due to non-sustainable palm oil production in Indonesia and Malaysia. The companies listed are members of the RSPO (Round Table on Sustainable Palm Oil) and are committed to using certified sustainable palm oil. Please support companies that are doing their best to make a difference for orangutans.